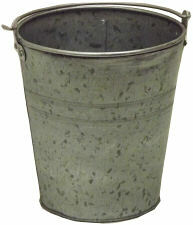 This 5.5 inches tall acid wash galvanized bucket is great for using as wedding centerpieces, event décor, to help organize the home or office, for floral arrangements and more. The optional plastic liner helps prevent leaks. 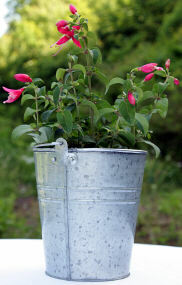 Has an acid wash finish.